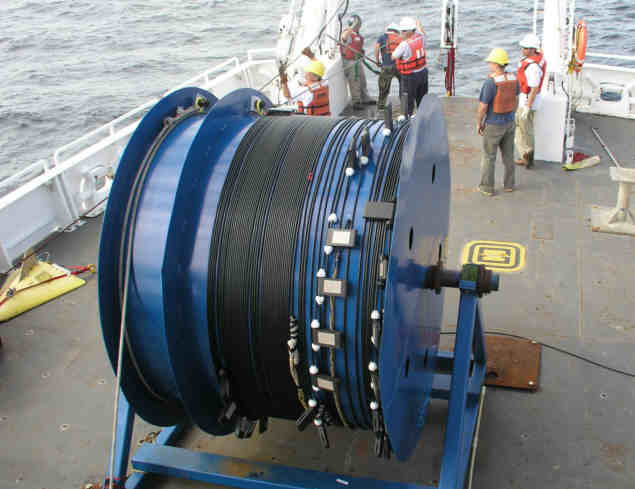 The "ADM Towed CTD-Chain" system is to be deployed from a ship equipped with an oceano- graphic winch, and consists of an insulated steel cable on which several CTD-fins are mounted. At the lower part of the tow-cable a depressor insures the right chain deployment at speeds up to eight knots. 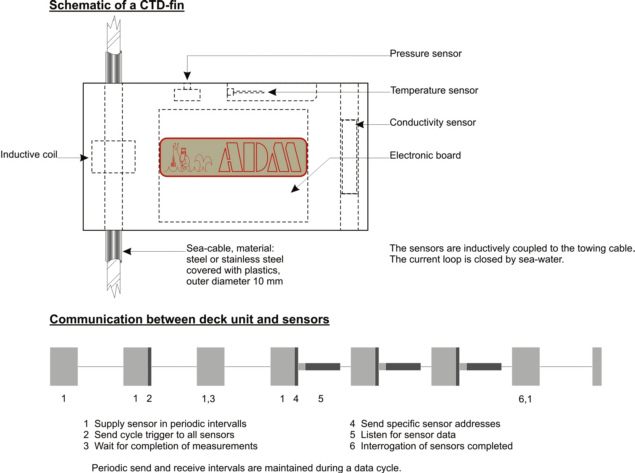 A surface unit interfacing with a computer provides the power supply for the CTD-fins, the bi-directional communication and the data acquisition. 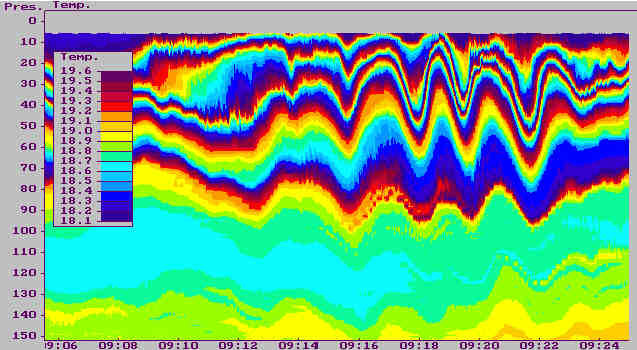 Two-dimensional profile measured with a 50-fins CTD-Chain by the SACLANT CENTRE (La Spezia, Italy) in the strait of Messina, between Italy and Sicily. CTD-fins are inductively coupled to the tow-cable and may be placed randomly. No cable bunches or underwater connectors are needed. Each CTD-fin consists of a 16-bit ADC controlled by a 8 bit microprocessor - probe with conductivity, temperature and pressure sensors. Complete data conversion time for the parameters requires approx. 15 ms.